have you ever ordered the chicken bellagio from cheesecake factory? i promise you it is the best thing on the menu. we get it every single time we go, and never feel bad about it because it is just that delicious. sure, we could branch out and try new things. but why would we when we have found the perfect dish? my mom started making a knock-off of the cheesecake factory recipe, and i'm pretty sure it's just as good. please make it for your husband for dinner. 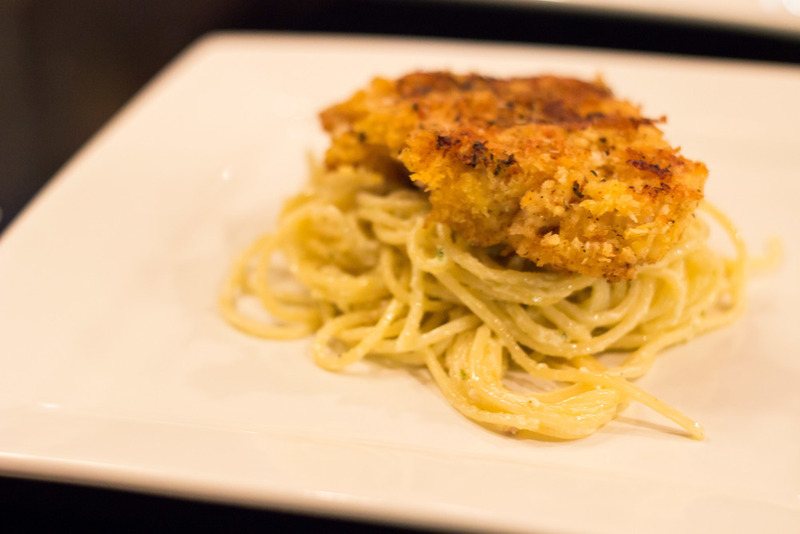 take your chicken and dredge it in flour, then egg wash, and finally the breadcrumbs, patting the breadcrumbs to make a nice coating. saute in a pan with butter and olive oil for about 10 to 15 minutes until cooked thoroughly (you can add seasoned salt, garlic salt, pepper, and any other seasonings you would like). keep the chicken warm in a dish in the oven on low. 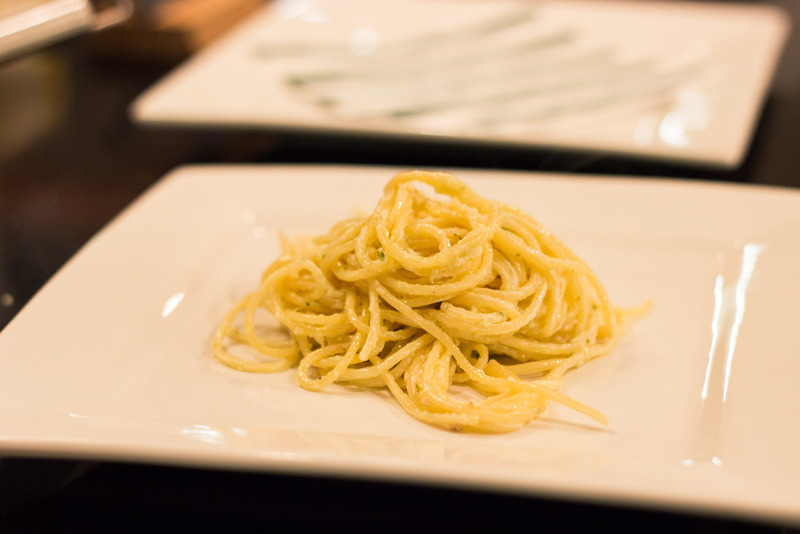 cook the pasta till al dente and while that is cooking make the pesto cream sauce. melt the butter in a pan and add the flour to make a roux. whisk while adding the cream and let it thicken for a few minutes. add the parmesan, and when it is melted add the pesto. toss the cooked pasta in the sauce. mound the pasta on the plate with sauce. 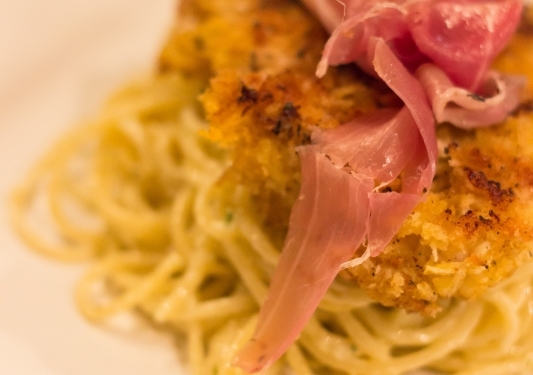 place a piece of chicken on top of the pasta, and prosciutto on top of the chicken. add a handful of the tossed arugula (see above) on top of the dish. 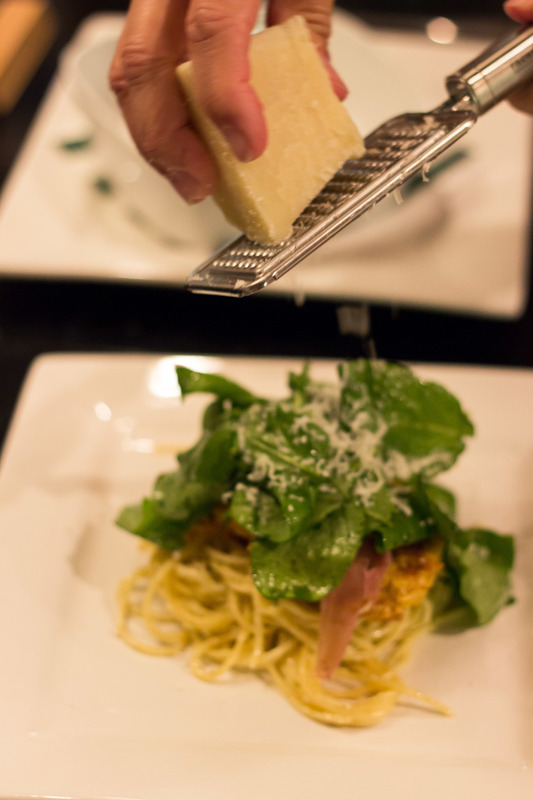 sprinkle fresh parmesan over everything.